Hip Hop Hooray is right!!!! This collection is fabulous from little boys to big boys and there are some great girl patterned papers too!!! Did you check out the yellow stars?!? love. And the turquoise polka dots? Match those two up with a nice bright pink and - yummy! The first card I made just to have on hand. Doesn't he look like a certain character from a certain movie? (I am not sure about copyright so I don't want to put the names in here!) 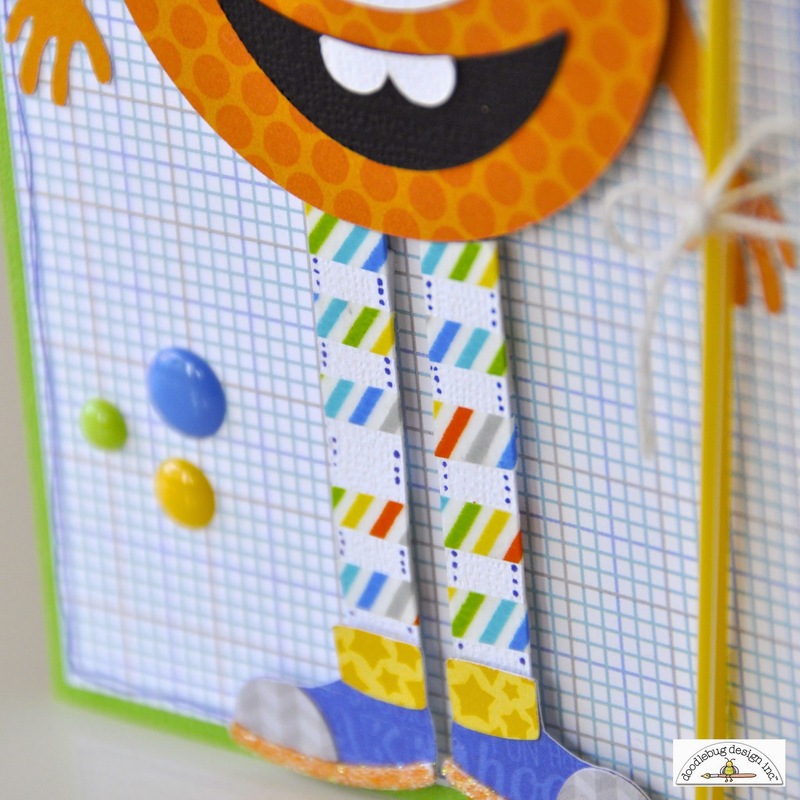 I could have made him green like the character but this orange dot paper was too cute to pass up! I made the stripes on the pants from washi tape - so fun. I cut a piece about an inch long and then cut it in thirds. I didn't cut it evenly and usually that would bother me but in this case I LOVED the wonkiness! Did you see that I glittered his little feet with sugar coating? :) Even boy cards need a little sparkle sometimes. 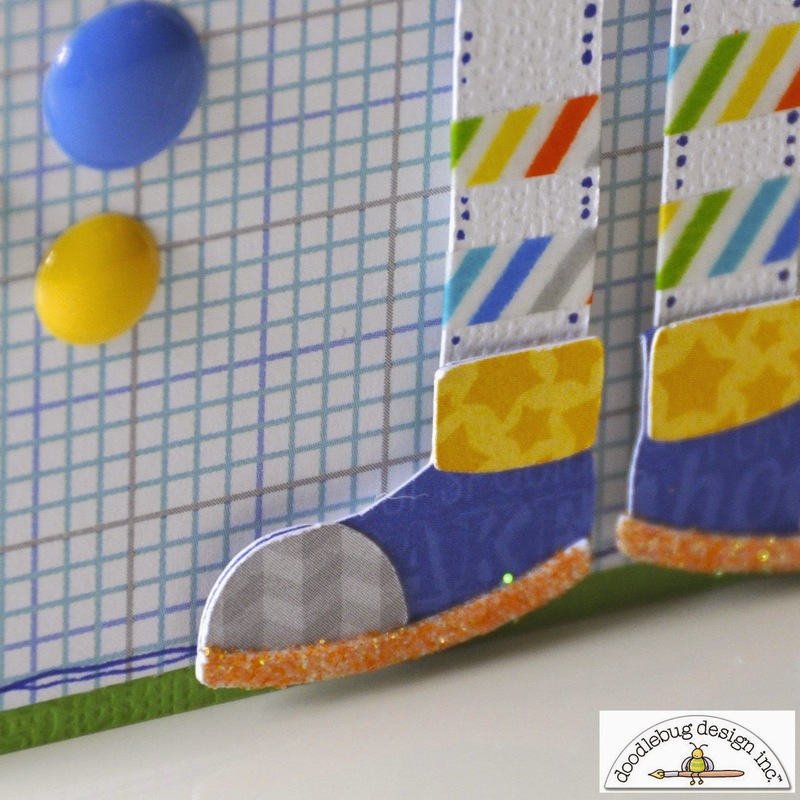 Sprinkles... let's talk about doodlebug sprinkles for a minute (enamel dots)... usually my beef with embellishments that come like this is the adhesive... doodlebug has NAILED it! THEY STICK AND STAY!!! Seriously - pick some up at the store and compare them to anything else you have in your stash. They will blow them away. Don't stick them down until you mean it... because they mean business. :) LOVE that! 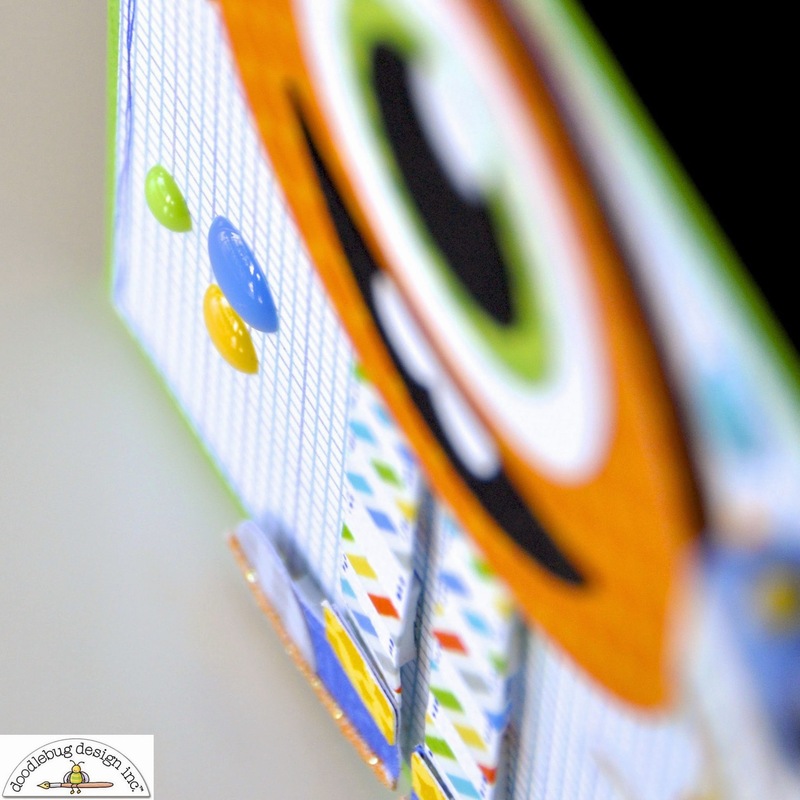 Lastly, let's chat about doodlebug card stock. Did you know they made regular 12x12 card stock? And it comes in a huge variety of colors! I used three colors from the primary assortment. love love love. I popped up every other strand of the mini garland to give it some dimension. These mini garlands are so fun! I am so thrilled that they came out with every collection in the winter 2014 collection! Check them out if you haven't already! Okay, this is Courtney Lee signing out today! I hope you have a beautiful day! 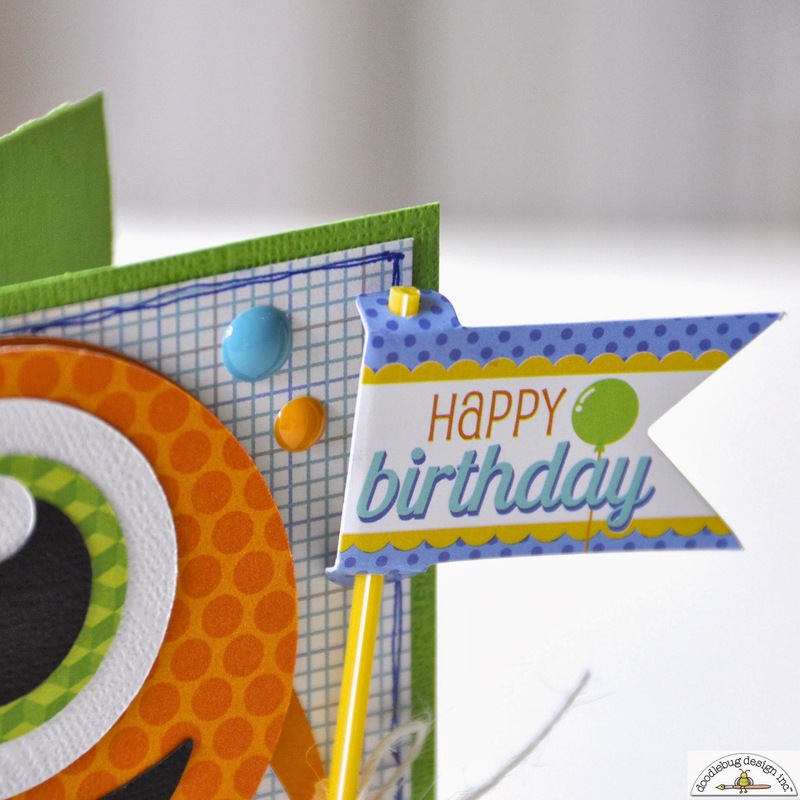 Thanks so much for joining us today at Doodlebug Design! I love them all ladies!! Just too cute! These cards are so cool! Thanks for such inspiration and great ideas!!! Adorable cards! So fun and creative. Love all the layouts and how this collection just says "Happy". What fun cards! I just love this collection. The cards all look fabulous, great way to create a stash of them! These birthday cards are so cute!! Thanks for sharing. 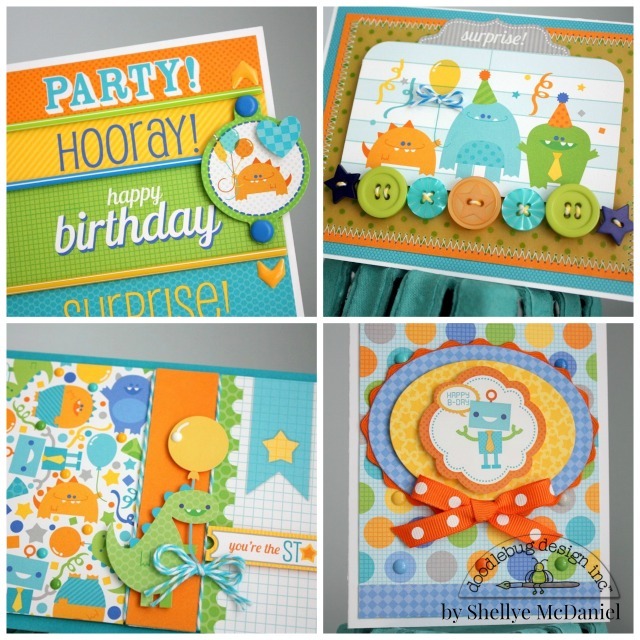 FUN & FABULOUS, CUTE & COOL cards!!! LOVE them ALL => I have LOTS of Pinning ahead of me!!! 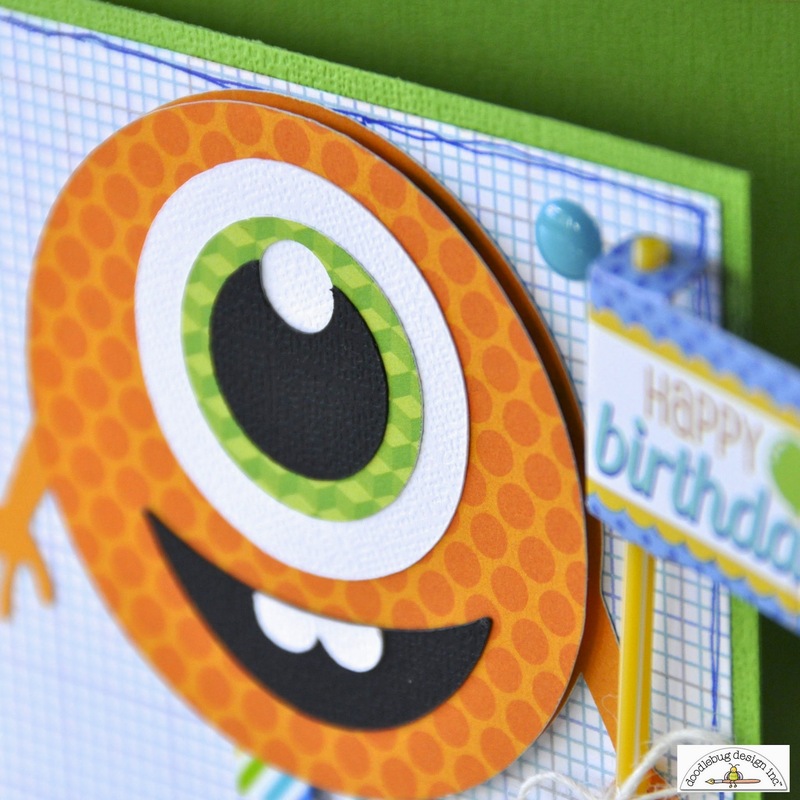 I Pinned Shellye's fun monster card - how cool layering the Pixies!!! 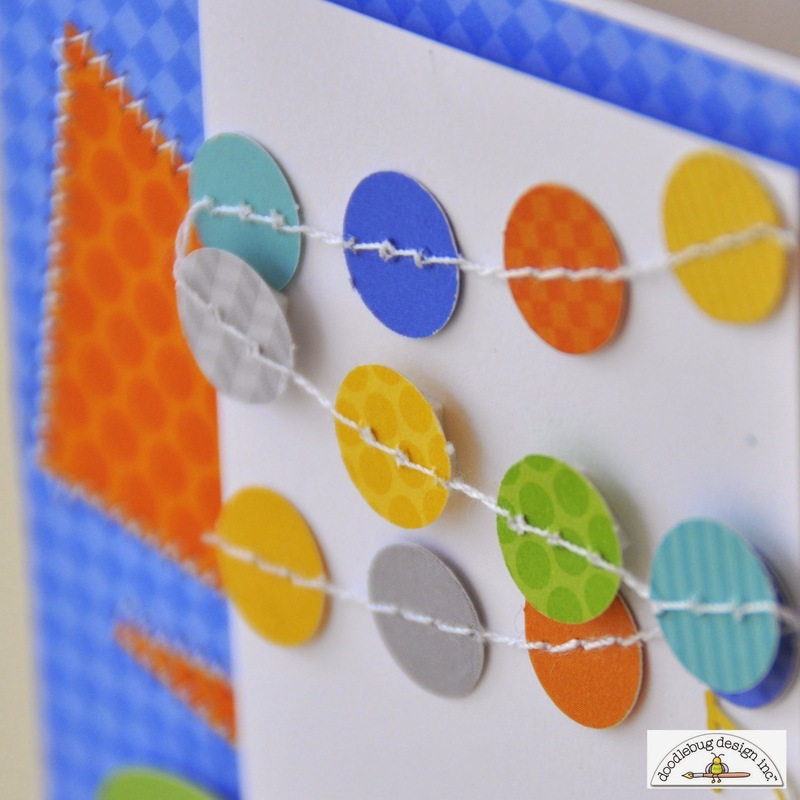 I Pinned Shellye's fun card, the balloon & twine bow is so cute!! Just wanted to add how much I love the paper I won b4, I posted a pic of the box card I made for MIL on facebook for you to see, she is sooo gonna love it! These are so fun and cute!! awesome talent! Can't wait to try the garland!